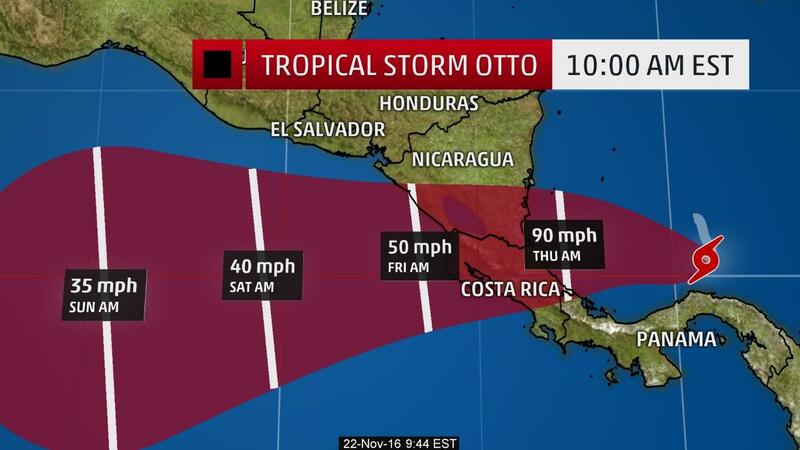 Q COSTA RICA NEWS – The US National Hurricane Center, based in Miami, changed its forecast and said that Tropical Storm Otto will become a Hurricane “this Tuesday,” and not Wednesday, as announced on Monday. The call continues for a voluntary evacuation and the people in the affected areas to be ready in the case a general evacuation becomes necessary. Last night the National Emergency Commission issued a “yellow” alert for the storm. Authorities also confirm the closing of 107 schools in the affected areas of the Caribbean and northern zone. 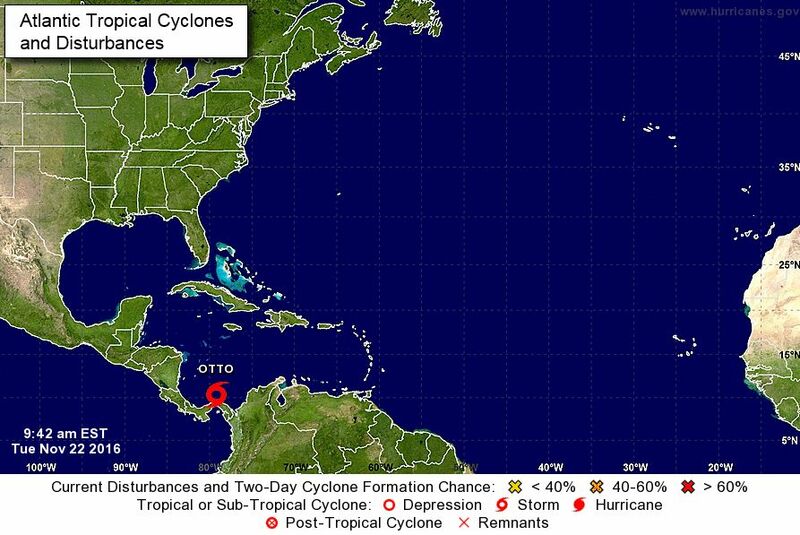 There is no record of a landfalling hurricane in Costa Rica, according to the NOAA best tracks database. 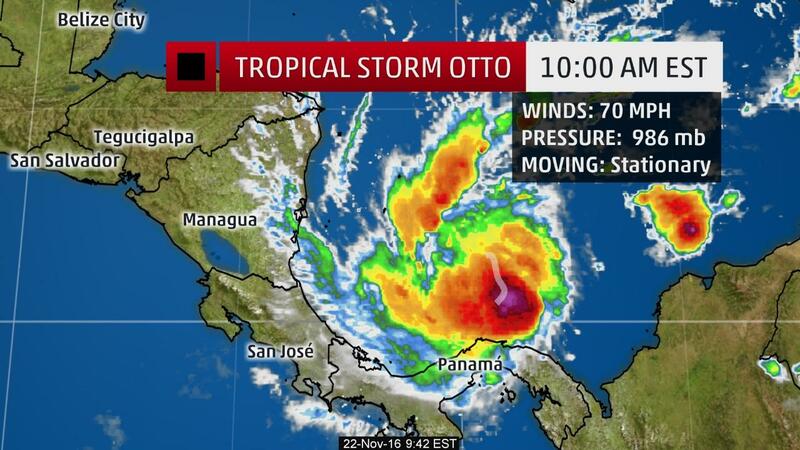 Otto could be a historical first, there.